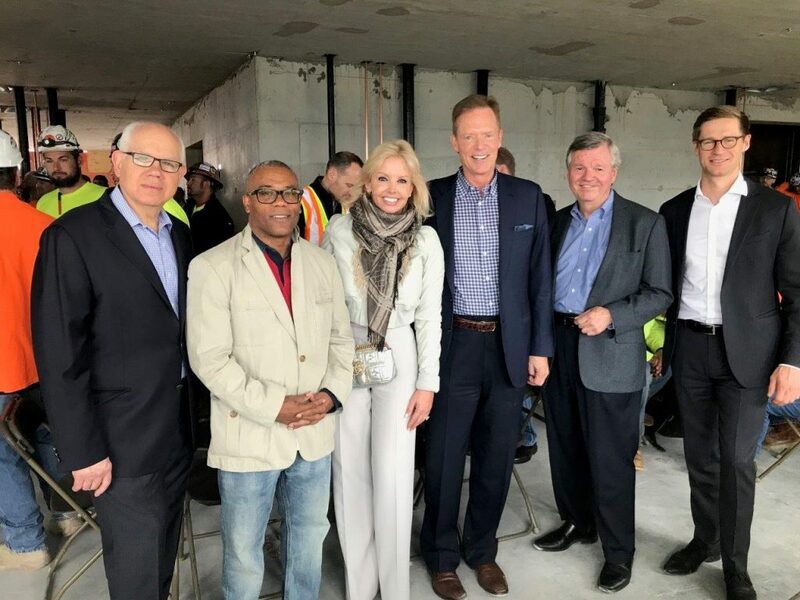 Earlier this month, members of FitzGerald’s design and documentation team joined F&F Realty, Fifield Realty Corporation, Ares Management, and contractor Lendlease at the topping-off celebration for 727 West Madison Street. L to R: David Friedman, F&F Realty; Ald. Walter Burnett, 27th Ward, Randy and Steve Fifield, Fifield Realty Corporation, Pat FitzGerald, FitzGerald, and Cal NeSmith, Ares Management. 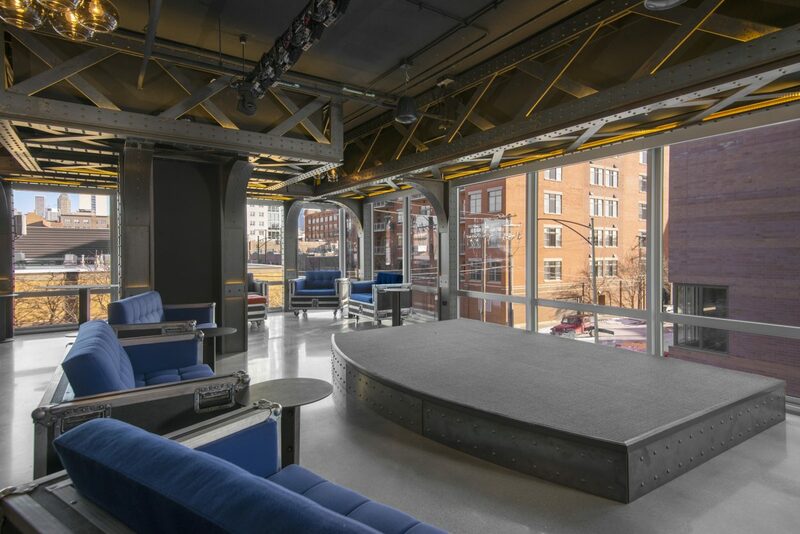 727 West Madison is the result of a rare opportunity to develop a site without height restrictions at Chicago’s well-traveled north-south dividing line, sandwiched between the vibrant Halsted Street corridor and the bustling I-90/I-94 expressway. The building’s design drew attention from the very beginning and garnered praise during a remarkably smooth approval process. 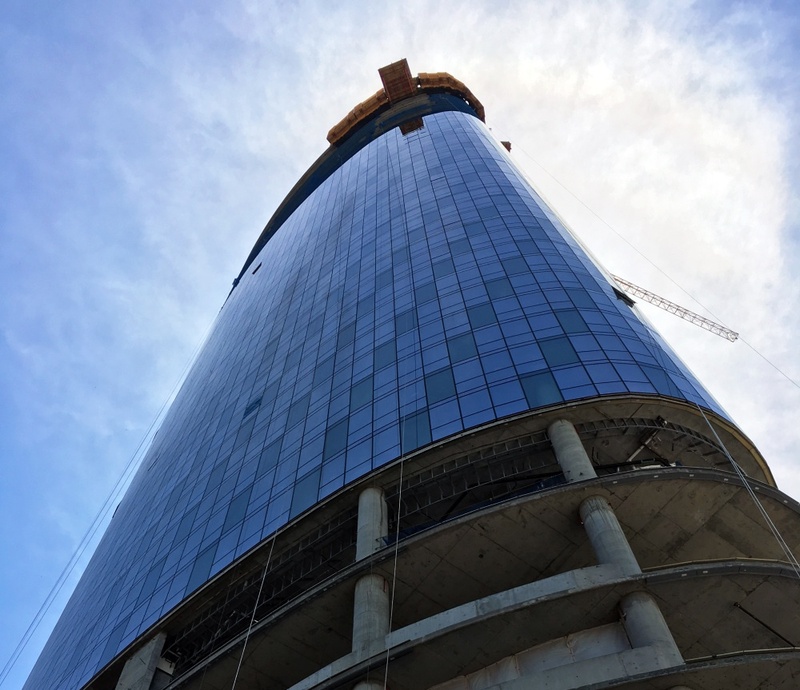 Topped out and rapidly approaching full enclosure, 727 West Madison is proving that the team’s planning and vision were well-invested, and excitement continues to grow as a truly stunning building rises into view from angles all over the surrounding neighborhoods. The iconic shape of 727 West Madison evolved as a programmatic response to what was planned for the base of the building. Initially, a hotel ballroom was planned on the ground level with cars above. In order for cars to access the parking levels, a spiral ramp was deemed most efficient and designed for the south side of the building. It became clear that the units above the ramp could benefit from the same half-cylinder shape, so the form was extended up the tower and gave the end units expansive city views. The design continued to evolve, and the feature was added to the other end of the building, thus creating a marker for the building’s entry. Once these sweeping panoramas were planned for the two ends of the tower, the design team experimented with “bulging” out the middle of the tower to add more floor area with a minimal increase in exterior surface area–and the elliptical form was born. 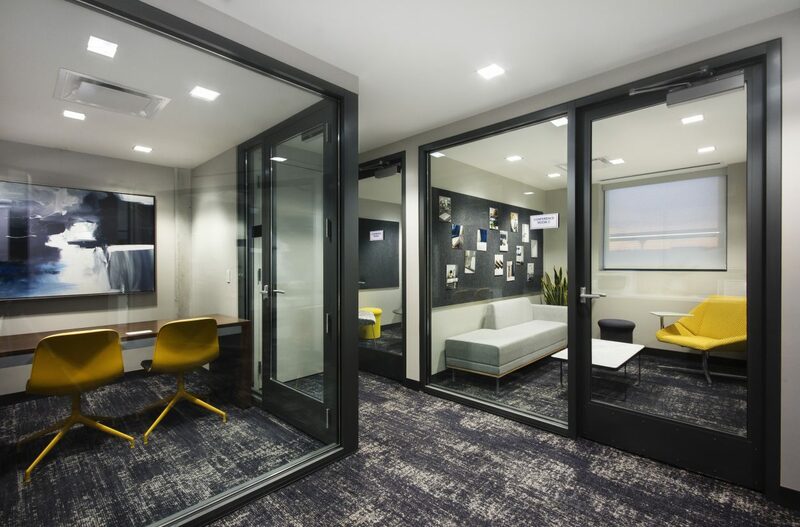 This low skin-to-floor area ratio makes for an exceptionally efficient and cost-effective design. As it was, the solid, curved shape of the building would have been striking, given its powerful presence along multiple corridors that offer views of the building from some great distances. 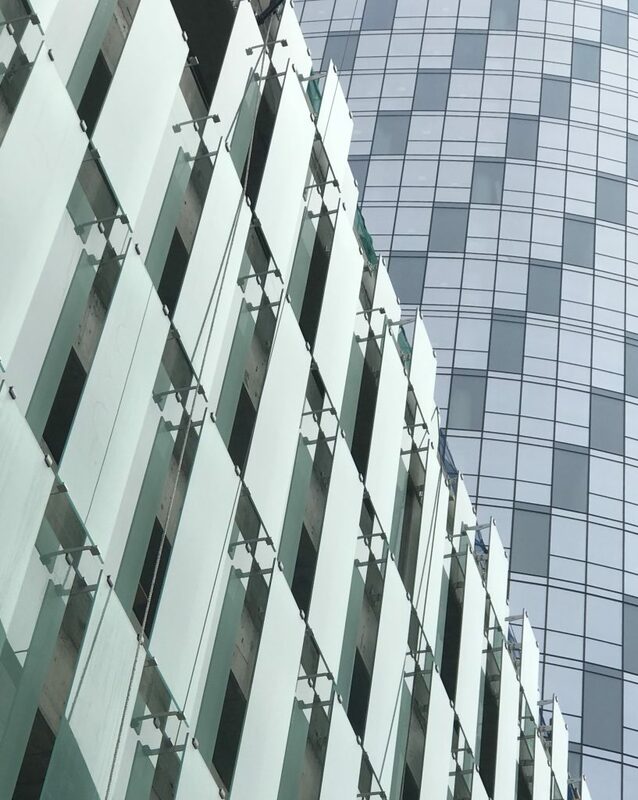 But the design team knew that by creating a pattern with the glass, we could give the tower facade more “texture” and create movement with a ribbon pattern that spirals up the tower. The program later changed for the tower’s base, focusing only on parking uses. 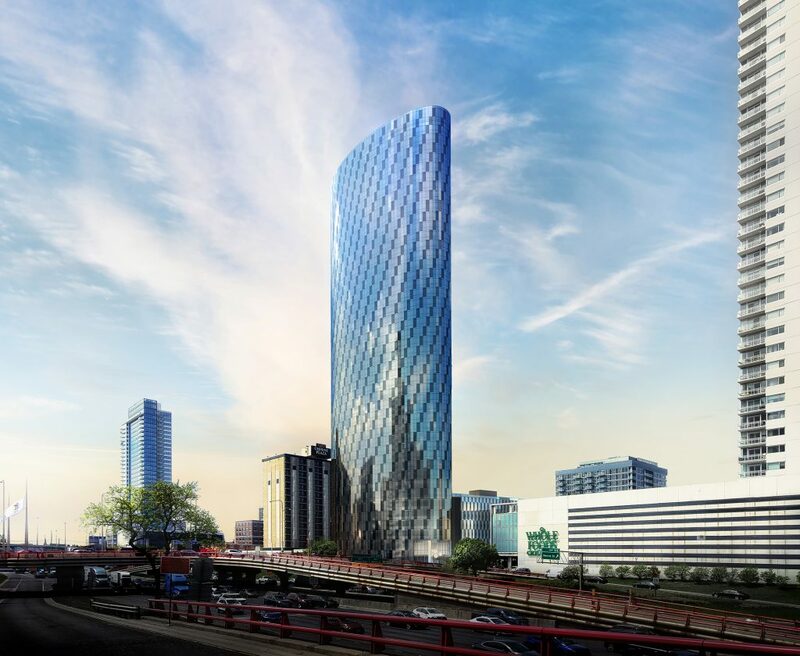 A parking base is a rather blank box, therefore visual interest was created with different colors and types of glass, and the form was crafted to make the parking base feel a bit like a separate structure while the elliptical shape of the tower continues all the way down to the ground. 727 West Madison is a 45-story, 492-unit apartment tower with 10,000 square feet of retail space. At just under 500 feet, it now becomes the tallest building in Chicago’s West Loop. 727 West Madison will include studio, one-, two- and three-bedroom layouts ranging from 490 to 1,550 square feet. 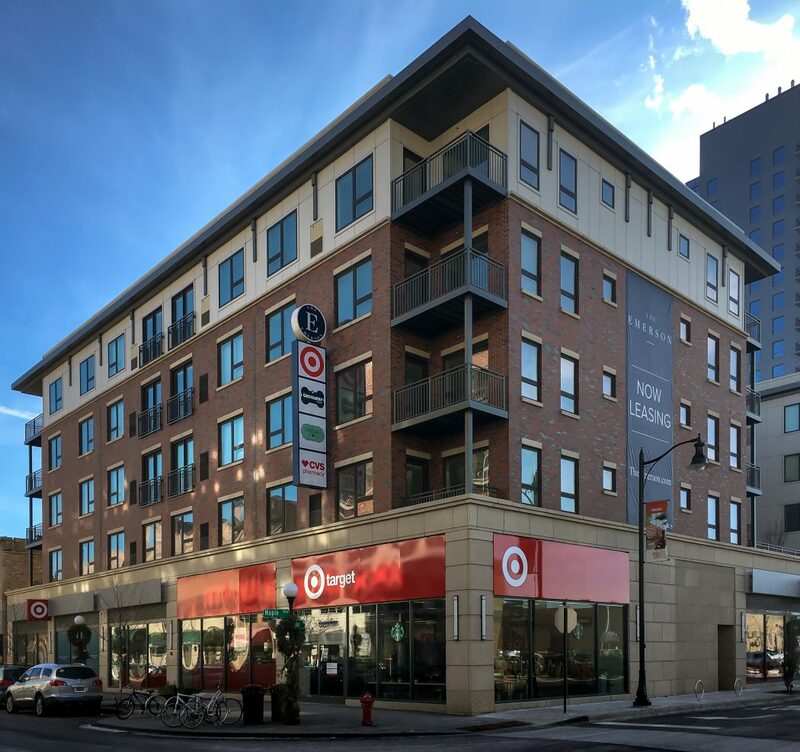 From 727 West Madison, residents will be within walking distance of popular grocers and retailers, one-of-a-kind shops, Randolph Street and Fulton Market restaurants, nightlife, CTA stops and Metra stations, and bike-share stations. Indoor amenities will include a fitness club with a yoga, barre and Pilates studio; private massage room; resident lounge with demonstration kitchen; state-of-the-art screening room; coworking-style business center and conference rooms with presentation screen, work carrels, and high-speed Wi-Fi; dog spa; and bicycle “kitchen” with extensive bike storage, supplies, tools and air pumps. 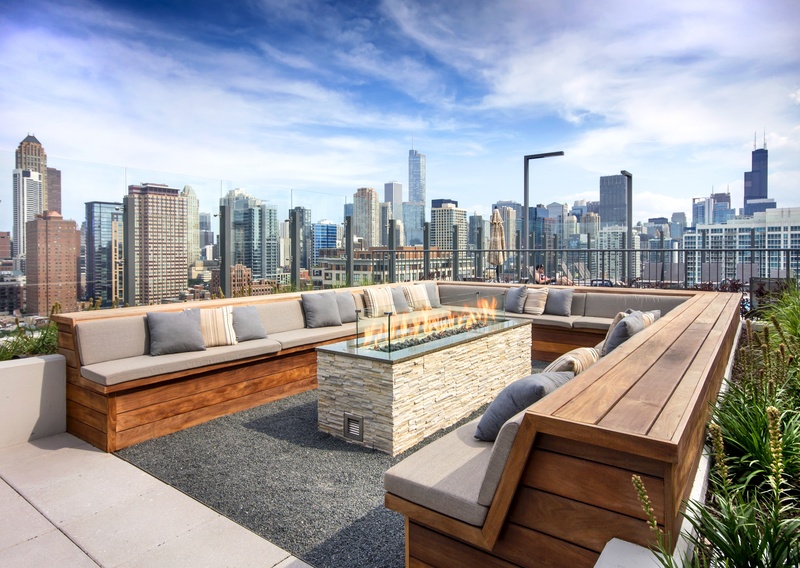 Outdoor amenities at 727 West Madison will include a large sun terrace with a pool, spa, cabanas, and grilling stations with intimate seating areas with porticos for dining and lounging. Residents will have access to a 24-hour on-site concierge and adjacent parking garage with 375 parking spaces.